Olive Tree’s mission is to inspire people to connect with God and the Bible. At Olive Tree, we passionately believe that lives are changed by the love of God as we study and engage with His Word. We are committed to providing excellent Bible software and resources that enrich and encourage the study of the Bible. We are proud to offer the BibleReader app for daily Bible reading and study. 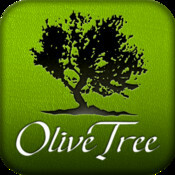 Olive Tree’s BibleReader software is available across all major platforms. Download the full app for free on Mac, Windows PC, iPhone, iPod, iPad and Android. We create and design all of our software with beautiful craftsmanship in mind. We want our users and employees to be so proud of our software that they would recommend it to their friends and family. We are committed to providing excellent Bible resources through our partnerships with publishers, authors and ministries. Our library of available resources is always growing as we acquire more resources that will deepen our customers’ Bible study. Find the resources that are right for you in the BibleReader app store or online at OliveTree.com. We offer over 1200 mobile resources including commentaries, dictionaries, devotionals, eBooks, Strong’s numbering and over 100 Bible translations. The Bible is offered in various languages, including German, French, Spanish, Chinese and many others. Original Hebrew and Greek texts are also available. Additionally, we provide a Bible search engine. Olive Tree Bible Software traces its beginnings to a 1984 student project to produce a searchable Greek New Testament on a monochrome PC. Our CEO, Drew Haninger built some of the earliest Bible programs for the Palm Pilot and the Pocket PC. In 2000, he created Olive Tree Bible Software. The name comes from Romans 11:17, “But if some of the branches were broken off, and you, although a wild olive shoot, were grafted in among the others and now share in the nourishing root of the olive tree.” See a timeline of Olive Tree’s history over the past twenty years. Join the Olive Tree community on Facebook, Twitter, and Google+. See what’s happening at Olive Tree and get the latest news and updates and by subscribing to our blog at blog.OliveTree.com.